The Eclipse earring, shown in satin finish with post. Post is sterling silver with vermeil earnut. 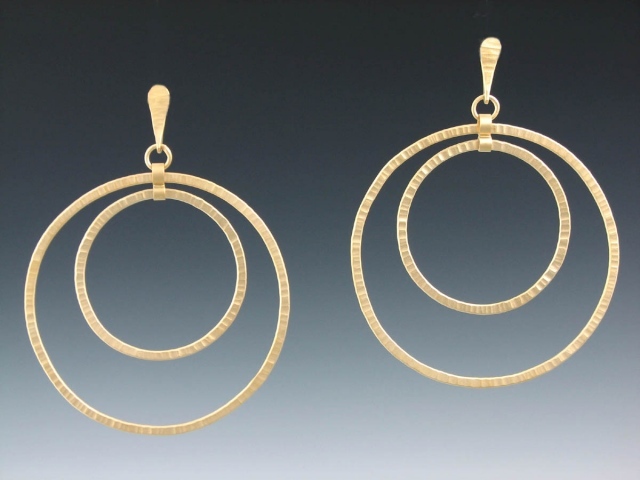 Surgical steel or 14K findings are also available.